LinkedIn cofounder Reid Hoffman spoke this past May at the Tech Alliance luncheon in Seattle, and something he said got me thinking about Silicon Valley – and all innovation hubs — in a different way. How early do girls decide math isn’t for them? Andrew Meltzoff, the Job and Gertrud Tamaki Endowed Chair in Psychology and co-director of the University of Washington Institute for Learning & Brain Sciences (I-LABS), was interviewed recently by Southern California Public Radio on the topic of boys, girls, and math anxiety. 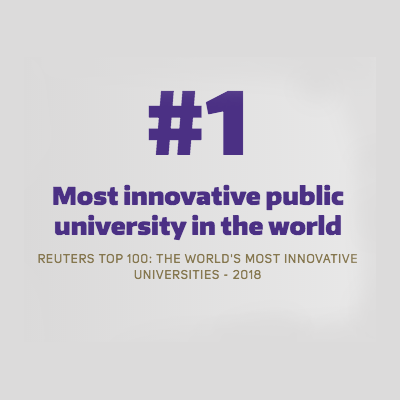 President Ana Mari Cauce, writing in the March 2016 edition of Columns, said the UW’s commitment to the public good aligns with its ranking as the most innovative public university in the world.